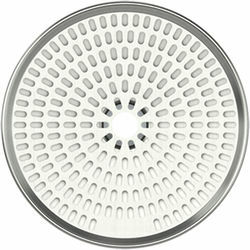 Quooker Accessories > Drip Tray (Polished Chrome). Quooker kitchen worktop drip tray. 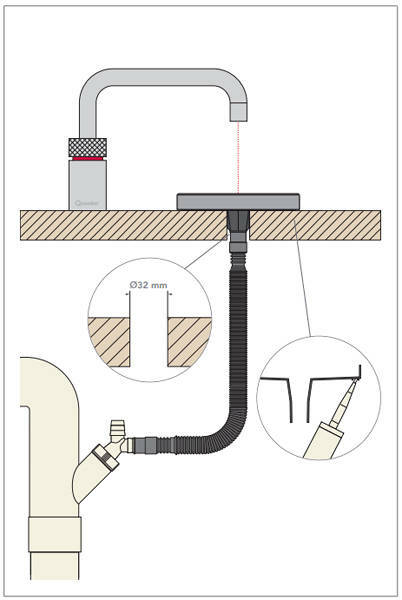 The ideal solution when you need to mount you tap on its own or you don't have a sink. Installed neatly on your kitchen worktop. 2 Year Guarantee: Quooker give a full 2 year guarantee on this drip tray. 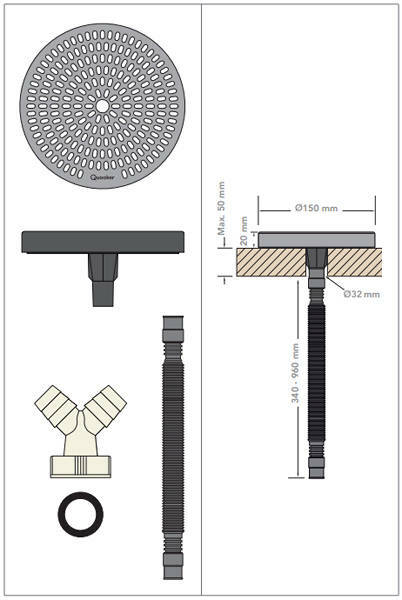 Quooker Kitchen Accessories will complete your boiling hot tap installation to the highest standard. Choose from brackets to neatly secure your tank or a stylish drip tray instead of a sink (font waste). Quooker was founded by the inventor Henri Peter in the 1970s. The Quooker is the world's first boiling hot water kitchen tap and the company holds global patents both the Quooker and some of its parts. The Quooker brand represents high-end technology, offer excellent service and lasting quality.